If I was back in Illinois, I’d have spring fever and itch to clean up the yard, plan a garden, get my fingernails dirty. Here in southern Florida I play a lot of tennis and golf, but they just don’t fill the urge to get into nature. The other day my nature itch needed to be scratched, so I loaded up my day pack with essentials: camera, binoculars, lunch, a Florida field guide, etc. and headed for Six Mile Cypress Slough Preserve. It was also a reconnaissance mission. The slough is the setting for, Gator Bait, a mystery I’m pulling out of my imagination. It’d been too long since I’d been to Six MIle, and my creative juices needed to be revved up. The docent in the interpretive center claimed to be a huge fan of mysteries and eagerly answered my questions about the volunteer program and the slough. 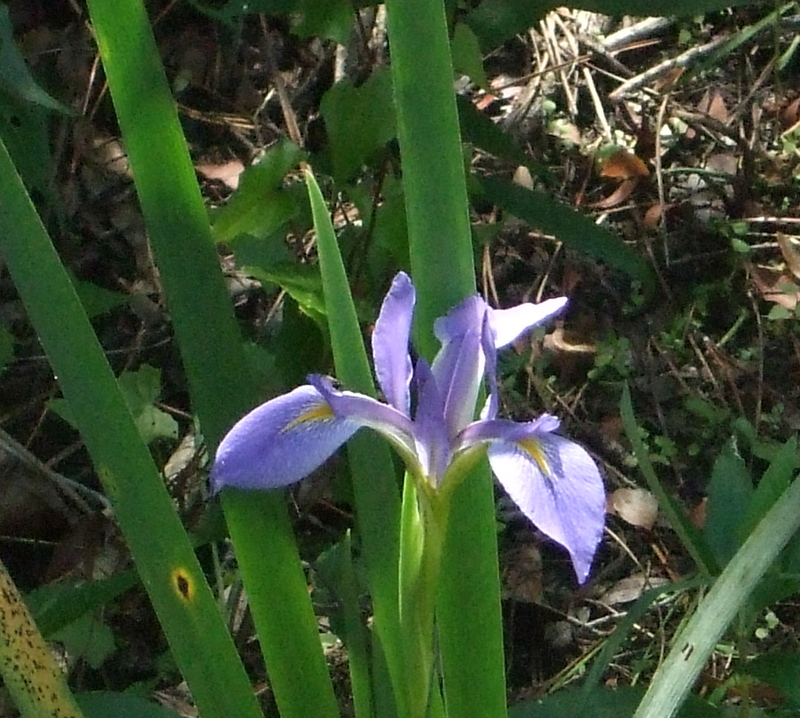 Six Mile Cypress is a reclaimed bit of nature, saved from development to maintain a healthy watershed for Lee County. It is a hidden oasis of peace and quiet amid sprawling subdivisions and golf courses. A wooden walkway makes Six Mile slough accessible even in the wet seasons. Birdwatchers, college kids on spring break, and retirees with grandchildren in tow shared the boardwalk with me. Everyone sensed the need for silence in amongst the cypress, live oak, and slash pines. The expectation of spotting alligators, wild pigs, or otters in the shallow water kept the humans quiet. The slough is a place for deep breathing. White and pink lichen announce the purity of the air and mark the tree trunks like paint-ball splatters. The cool breeze carries a fresh, damp smell. I pictured docile dinosaurs foraging under the tree canopy in the clear water amid cypress knobs and a dozen variety of prehistoric ferns. Small birds flitted everywhere, too fast and anxious for me to identify. 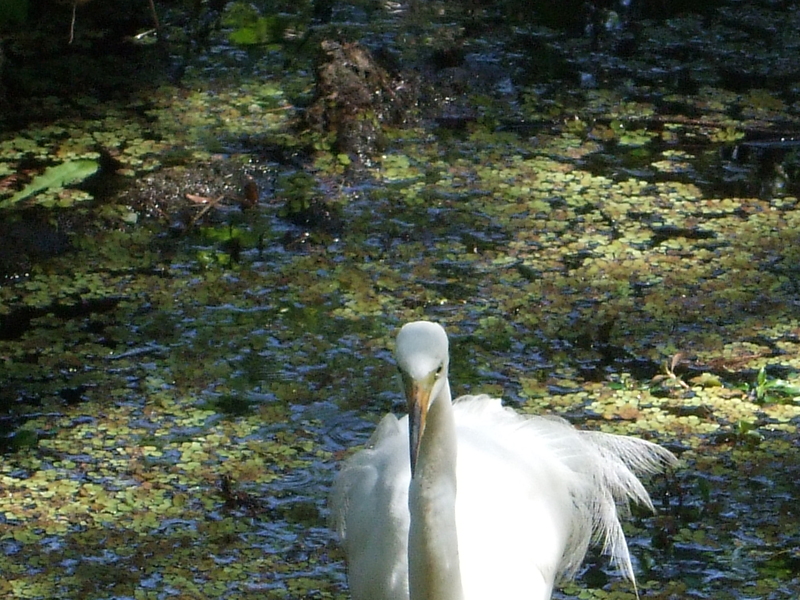 I prefer the larger, more sedate ibis, wood stork, heron, and egret which probed the shallows for their food. Not all wading birds are so patient and aloof. 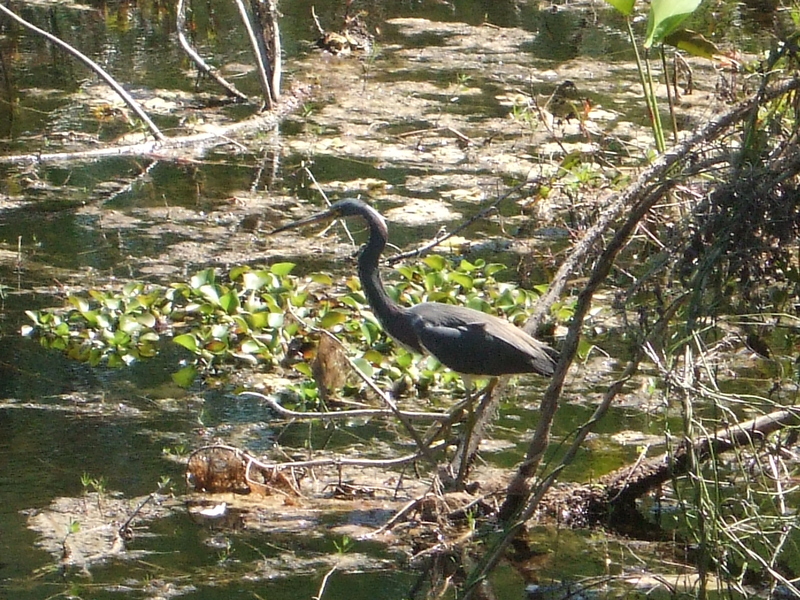 An immature tri-colored heron comically splashed and chased after its dinner. lens on her camera . 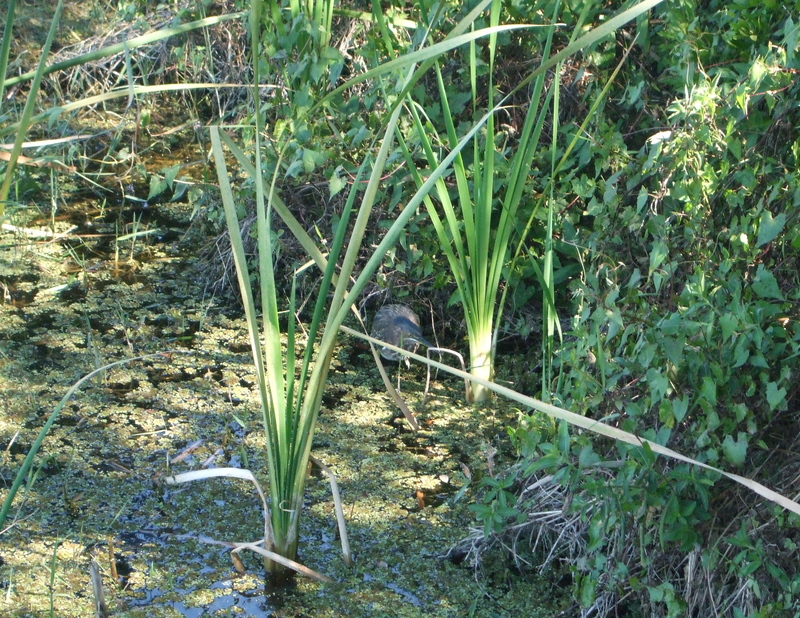 . . a baby black-crowned night heron camouflaging itself in the reeds edge of the pond. The photographer and I were both thrilled. 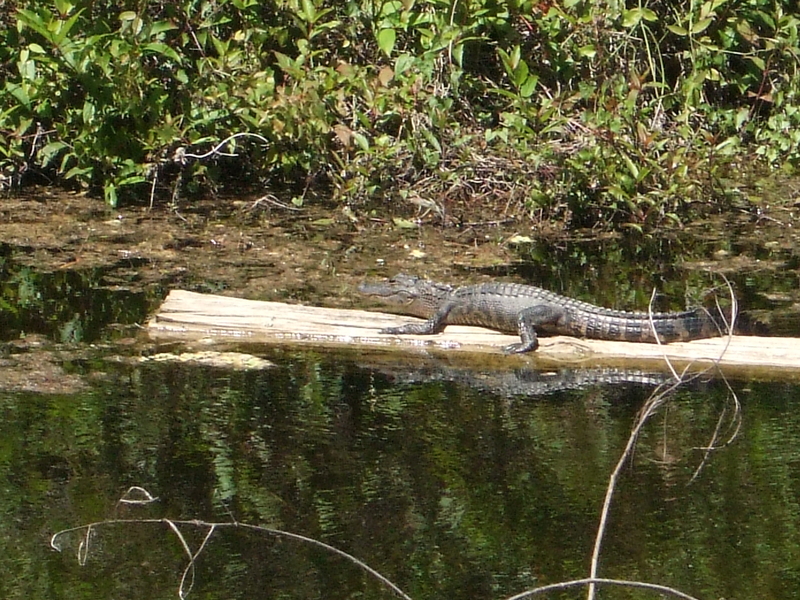 Kids love alligators, so I directed a couple of excited teenage girls toward Wood Duck Pond and the only gator I’d spotted–– a young one posing in the sun. 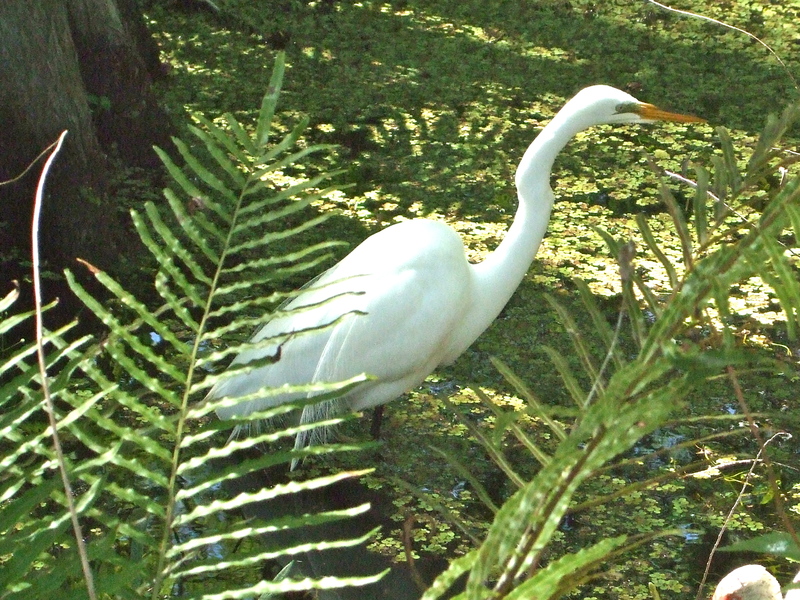 Turtles and anhingas are common, though no less interesting. I looked hard for snakes sunning themselves in the cool weather, but supposed the unusual number of people sent them into hiding. My most poignant sighting was a gray squirrel scurrying among the leaves with a bloody stump for a tail. A close call, no doubt, and food for thought. My three hours visit to the slough worked magic on me. I went home with a renewed zest for my life and an exciting urgency to write. Gator Bait is taking shape. Wow, Phil! I visited your website. Your wildlife photos are fantastic. You must have a great camera and lens. I laughed out loud at the alligator vs croc. You had me going. I couldn’t figure out where a croc would meet an alligator. The anhinga is cool and love the alligator!